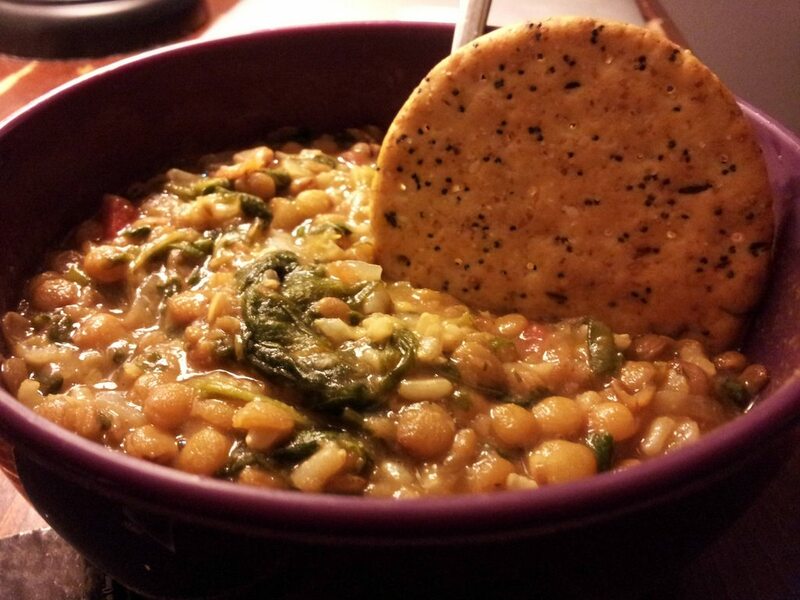 … Because everyone loves a good soup, right? * Feel free to add any other spices you tend to like. This soup is especially good with warm spices, such as cayenne if that’s your thing. Place all ingredients except the last two (spinach and tomatoes) in a pot and bring to a boil. Reduce heat to a simmer and let cook for approx. 1 hour making sure the lentils are tender. Add spinach and tomatoes and let simmer 1 to 2 minutes. Enjoy with your favorite crackers. This entry was posted in Recipes and tagged brown rice, cumin, dill weed, garlic powder, lemon juice, lentil, onion, soup, spinach, tomatoes.